One of the best parts of the winter holiday season is the chance to see beautiful lights displays. They bring a welcoming glow to the night at the darkest time of the year. 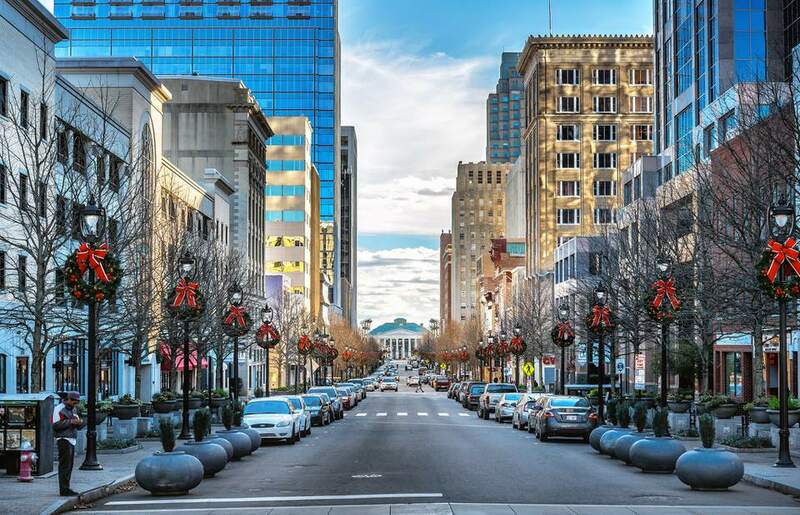 During the holiday season, the Raleigh-Durham area is bright with displays of Christmas lights (and the occasional Hanukkah or Kwanzaa display). Here are some of the best places in the Triangle to see holiday lights on display in 2018. Lake Myra Christmas is a spectacular light show set to music. This year's display will feature more than 180,000 lights that are computer synchronized to "dance" in time to the music. The display is created by the Williams family of Wendell, North Carolina, who painstaking design and assemble the glowing extravaganza every year. The light show lasts about a half an hour. For 2018, the lights will be turned on at 6 pm. on November 21 and will be on every night, weather permitting, through December 31. The lights are on from 6 to 10 p.m. Sunday through Thursday and from 6 to 11 p.m. on Friday and Saturday. Wendell is about 17 miles from Raleigh-Durham. Take a 30-minute tractor-drawn hayride through a light display and winter wonderland complete with holiday music at the Lights on the Neuse Christmas Light Park in Clayton, North Carolina, about 17 miles from Raleigh-Durham. After the ride, take some time to visit with Santa or enjoy some candy or hot cocoa from Santa's Sweet Shop. In 2018, Lights on the Neuse is open evenings from 6 to 9 p.m. starting November 23. It's open November 24 and 25 and all the weekends in December through the 24, along with a few days during the week from mid-December on. Check the schedule on the website for specific days that the display is open. The Lucky Strike Tower at the American Tobacco Campus will be lit up again in 2018, marking over a decade for this annual event. This year the switch will be flipped on the tower's holiday lights at 6 p.m. on December 1. Santa will make an appearance, and you'll be entertained by live entertainment by local bands, musicians from Jordan High School, and the Durham Children's Choir. Take a trip back to a Christmas celebration in 1830 at the birthplace of Zebulon B. Vance in Weaverville, North Carolina, for a different kind of holiday light. You'll be treated to a candlelit tour of the main house and grounds, decorated with greenery native to the backcountry, a roaring fire in the kitchen fireplace, and the scent of hot cider filling the house. It's a feast for all the senses. This special holiday event requires a weekend getaway; Weaverville is 256 miles from Raleigh-Durham and about 10 miles north of Asheville. But don't let that stop you. Make it a fun holiday weekend in the mountains of western North Carolina and the happening city of Asheville, where you can shop the boutiques for artisanal, one-of-a-kind gifts.